After 'The Mickey Mouse Club,' she worked at Warner Bros. Records doing promotion for the likes of Frank Zappa, Tower of Power and The Doobie Brothers. 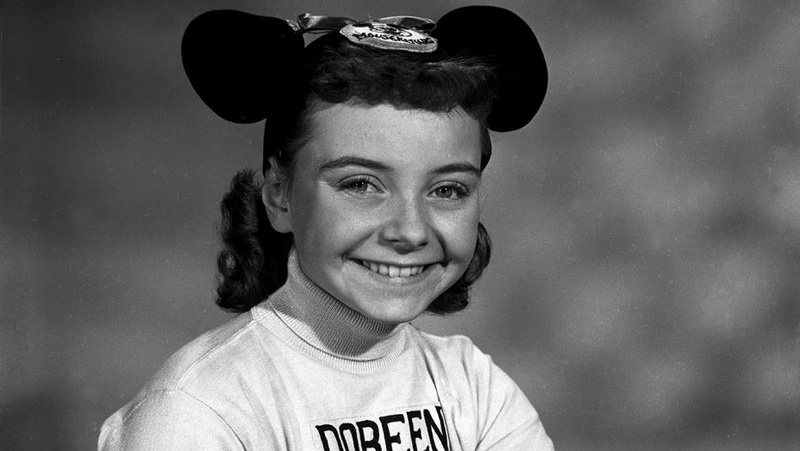 Doreen Tracey, one of the original Mouseketeers on the fabled kids' program The Mickey Mouse Club, has died. She was 74. Tracey died Wednesday at Los Robles Hospital and Medical Center in Thousand Oaks, California, after a two-year battle with cancer, Disney publicist Howard Green announced. A kid with a vivacious personality, Tracey appeared on Disney's Mickey Mouse Club throughout its original 1955-59 run on ABC. The series then lived on for decades in syndication. "Our Dodo, as we lovingly nicknamed her, always had a smile on her face," fellow Mouseketeer Tommy Cole said in a statement. "She never failed to make us all feel good, and we will miss her." Tracey was born in London on April 3, 1943. Her parents, Bessie Hay and Sid Tracey, were Americans who had a vaudeville dance act known as Tracey & Hay. When Tracey was 4, the family returned to the U.S., and her father opened a dance studio in Hollywood. It was there that Tracey learned to sing and dance, and she had an uncredited part in The Farmer Takes a Wife (1953), starring Betty Grable and Dale Robertson. At age 12, Tracey auditioned for a job on The Mickey Mouse Club — she sang a Patti Page number called "Cross Over the Bridge" — and was hired. While a Mouseketeer, Tracey also was cast in the Disney feature Westward Ho the Wagons! (1956), starring Fess Parker. She also appeared on The Mickey Mouse Club's Annette serial and on The Donna Reed Show and toured Australia with the Mouseketeers. In the 1960s, Tracey visited American military bases in South Vietnam and Thailand with her own act. Later, she worked in promotions at Warner Bros. Records with acts including Frank Zappa, Tower of Power and The Doobie Brothers. In the 1980s, '90s and 2000s, Tracey co-starred with former Mouseketeers in several Mickey Mouse Club reunion shows at Disneyland and at Disney conventions. She last celebrated the show's 60th anniversary in 2015.